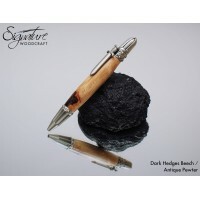 If you need a wooden pen or unique wooden gift in a hurry, check out our range of ready made products. 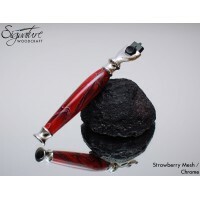 These items are still unique gifts and handcrafted here in Northern Ireland, and are ideal if you need something quickly. 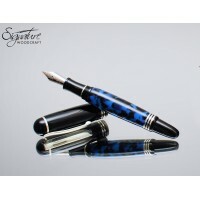 We aim to dispatch these pens within 1-2 working days. 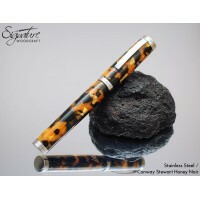 The pen you see is the pen you will receive!Our Junior Ambassador is a scaled down version of our Am.. 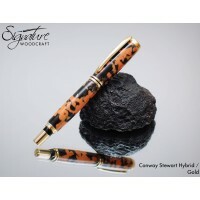 The pen you see is the pen you will receive!Tycoon Rollerball Pen in Conway Steward acrylic and gold.. 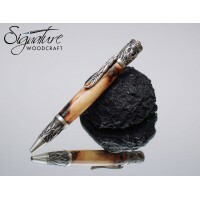 The Brunel Fountain Pen - quintessentially British. 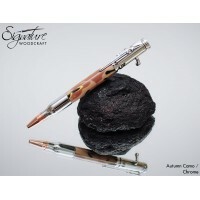 This fountain pen borrows it's name from o..
Our popular Emerald Eye ballpoint pen in Beech wood from the famous Dark Hedges.The pen you see is t..
Mach 3 compatible Shaving Razor Handle in Strawberry Mesh acrylic.FEATURESAcrylic handle so no conce..
Our Excalibre, bolt-action gun themed pen in Autumn Camouflage acrylic.FEATURESRifle Shaped ClipWork..
A real one of a kind fountain pen, made from a combination of Conway Stewart Blue Demo and Black acr.. 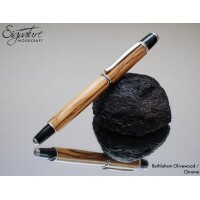 This pen is a fountain version of our very popular ballpoint pen, the Sirocco. The Sirocco Fou.. The ultimate gift for Game of Thrones fans! 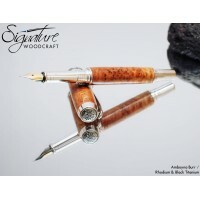 This unique wooden pen has been created from the f.. 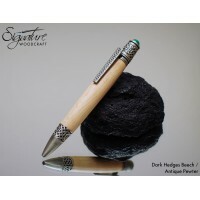 The pen you see is the pen you will receive!The ultimate gift for Game of Thrones fans! 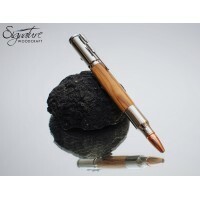 This u..
A very unique, gun themed handmade wooden pen, with an irresistible Bolt Action! A highly deta..